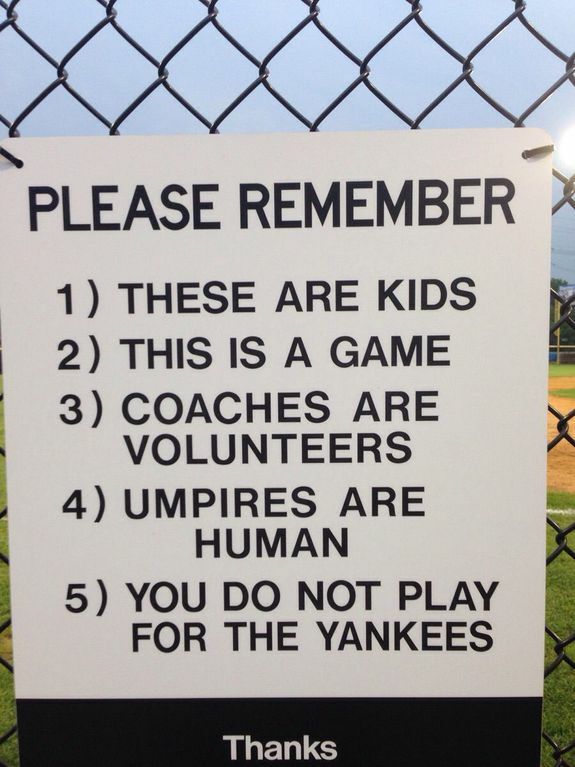 Little League sign has a few important reminders for overzealous parents - trendistic.com: ever tried. ever failed. no matter. try again. fail again. fail better. 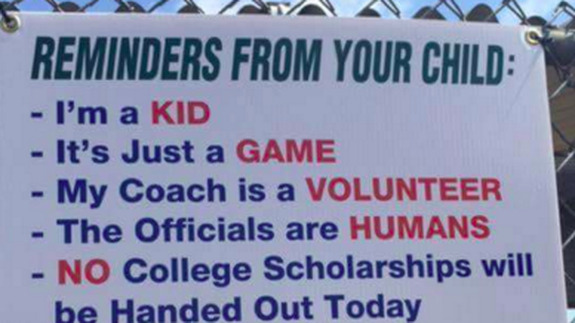 Hey, parents: It’s just a game. 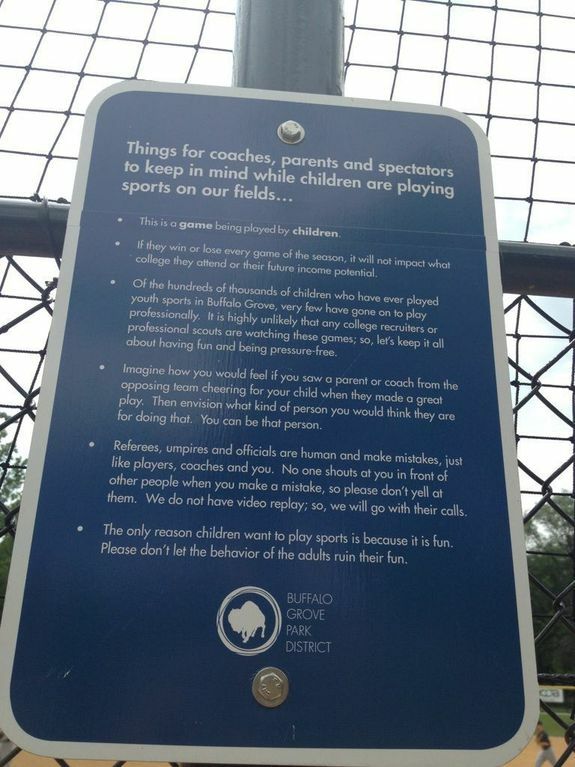 A sign displayed at a Little League baseball field elicited laughs and shudders on Reddit this week with its pointed warnings to parents who might, well, take children’s baseball a little too seriously. Unfortunately, this isn’t the first sign of its kind. 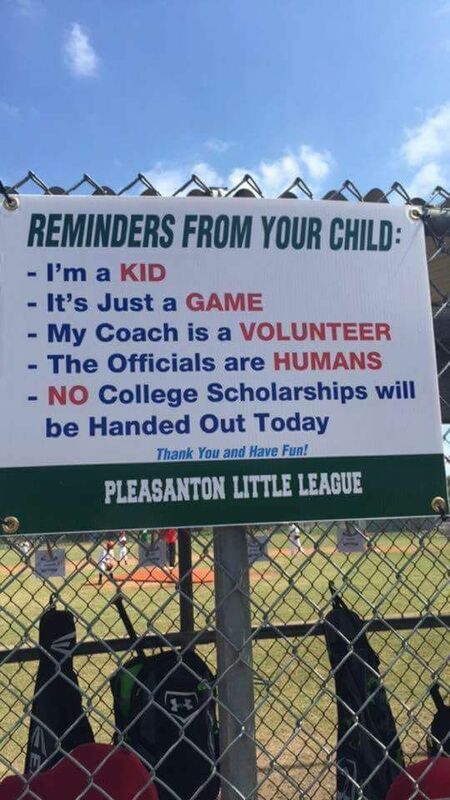 Other towns, plagued by overzealous parents of their own, have installed similarly snarky reminders. Some take a more longform approach.